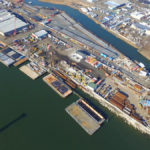 T-PORT is a 6-acre facility located adjacent to the newly dredged, 50-ft shipping channel on the Arthur Kill in Elizabeth, NJ. 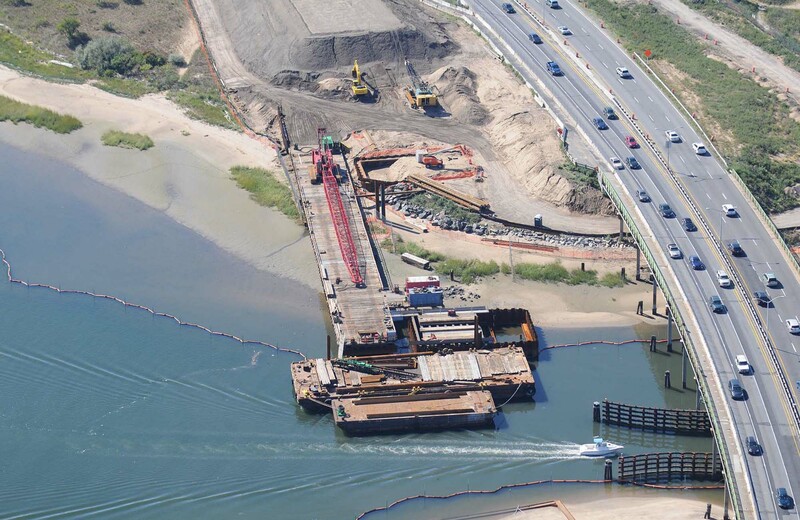 Trevcon is developing the facility to provide access to waterborne vessels operated by Trevcon and our clients for loading, trans-loading and unloading materials to and from trucks and barges. 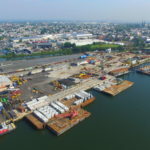 It can also be used for the mobilization of crews and equipment to various construction sites in the NY/NJ Metropolitan area. 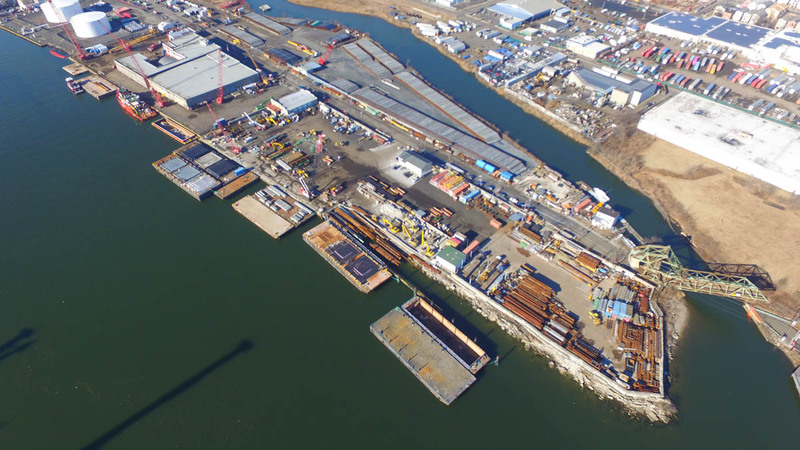 Our facility offers a 450 foot long high load capacity wharf as well as a complete enclosed full-service shop for the servicing and repair of all types of construction equipment. 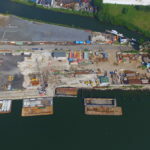 We also have 1000 LF of shoreline with deep water that can handle two barges wide if needed. 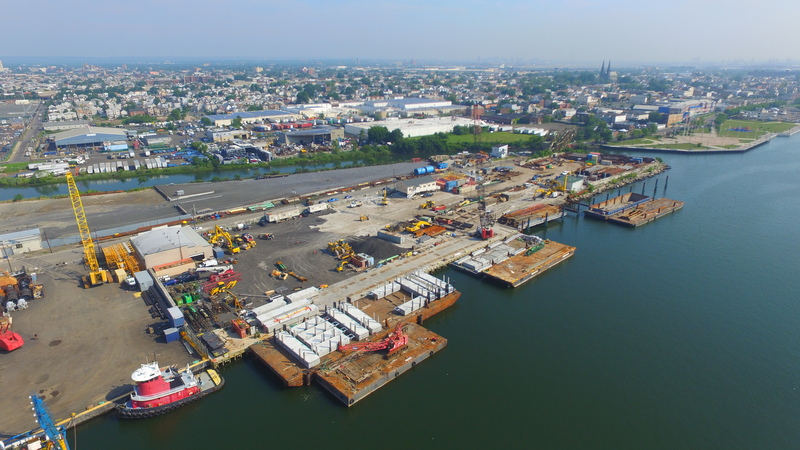 T-Port also operates a NJDEP licensed Class B recycling facility which offers concrete recycling, as well as material transfers such as asphalt, soil, and timber. The six acre facility has ample room for fabrication and storage of construction materials and equipment. 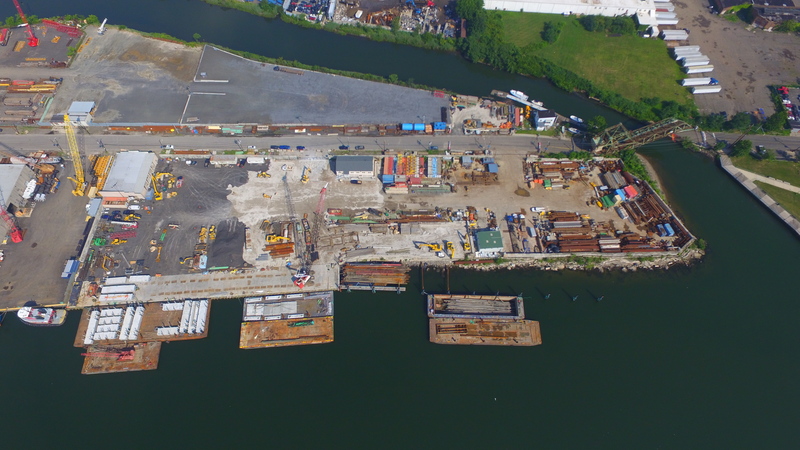 The development of this site will give Trevcon the ability to provide full service to the heavy marine construction industry.